BART has been ordered to pay $1.275 million in a settlement with three district attorney's offices for failing to implement hazardous materials business plans at facilities throughout the transit system, prosecutors said on Tuesday. Alameda County Superior Court Judge Morris Jacobson ordered the settlement as part of a civil environmental prosecution involving the district attorney's offices in Contra Costa, Alameda and San Mateo counties. The settlement stems from claims that as early as 2010, BART allegedly failed to implement the hazardous materials business plans — or HMBPs — at facilities across the three counties. HMBPs are required by law to be present at each facility and contain critical emergency response information for first responders and BART employees. San Mateo County Deputy District Attorney John Wilson, who is in charge of the office's Consumer and Environmental Unit, said he felt it was important to bring the case forward as the laws that were being violated are there to protect the environment and public from situations involving hazardous materials. "In short, we'd rather be proactive than reactive," Wilson said. Prosecutors said more than 30 of BART's 190 facilities throughout the three counties failed to establish an HMBP for emergency response to a release or threatened release of hazardous materials, including diesel fuel, petroleum, sulfuric acid contained in industrial batteries, and fire-extinguishing chemicals. In addition, the lawsuit alleges that BART violated its environmental obligations related to aboveground and underground storage of petroleum and its hazardous waste. In 2014, inspectors from the Alameda County Department of Environmental Health observed large storage tanks, which fueled backup generators, containing between 500 and 1,700-plus gallons of diesel fuel at the East Dublin/Pleasanton, West Dublin, and Castro Valley facilities. Prosecutors said the tanks were in close proximity to areas accessed by BART commuters, and that despite the large quantities of hazardous materials, BART never implemented a hazardous materials business plan. 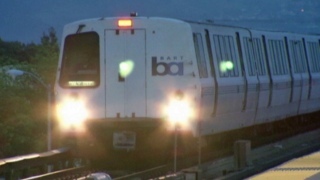 The violations were brought to the attention of Alameda County prosecutors who, along with their counterparts in Contra Costa and San Mateo counties, proceeded to conduct full investigations of several BART facilities in their respective counties. Prosecutors said BART was cooperative throughout the investigation and worked hard to remedy the violations quickly. Contra Costa County Deputy District Attorney Stacey Grassini said he was satisfied with BART's efforts in remediating the issues brought forth. "BART chose the path of compliance and the path of resolution versus the path of litigation, and I think that was appropriate," Grassini said. BART officials issued a statement in response to the settlement, agreeing that it was not in substantial compliance with Hazardous Materials Business Plan regulations, while also noting that neither the public nor environment were harmed by the non-compliance. Prior to the lawsuit, BART hired a third party to conduct an audit of its environmental management programs and as part of the settlement, BART must implement the recommendations made from the audit. BART will pay $675,000 in civil penalties, and $300,000 to reimburse the cost of the investigations. Additionally, BART must pay $300,000 toward funding two additional environmental compliance positions for the next two years. Lastly, BART will be bound under the terms of a permanent injunction prohibiting similar further violations of the law.